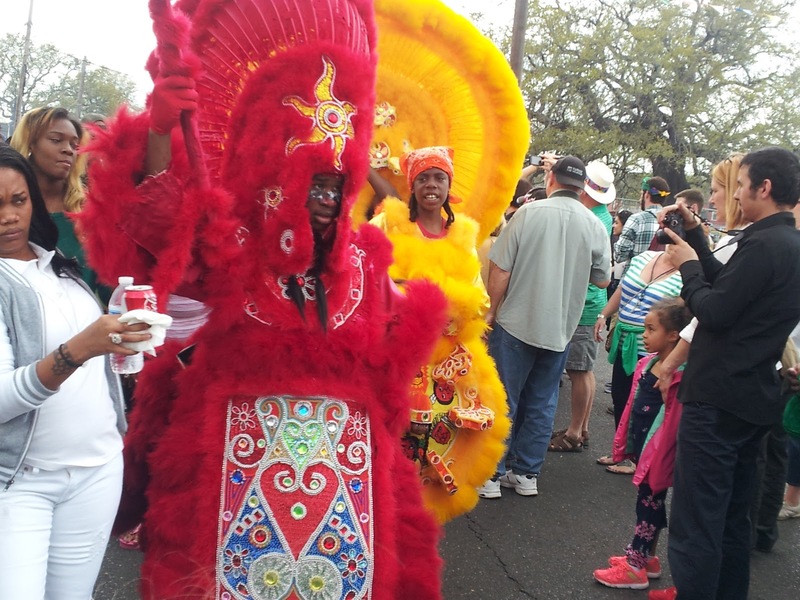 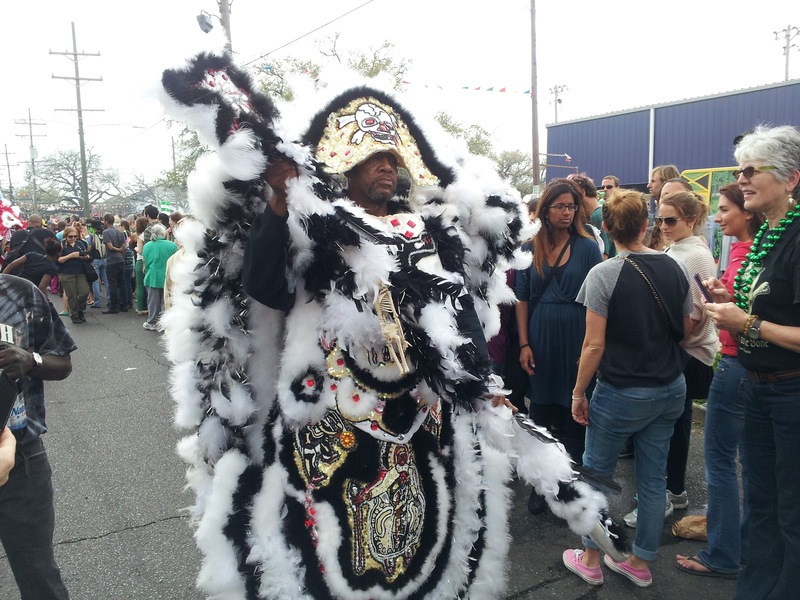 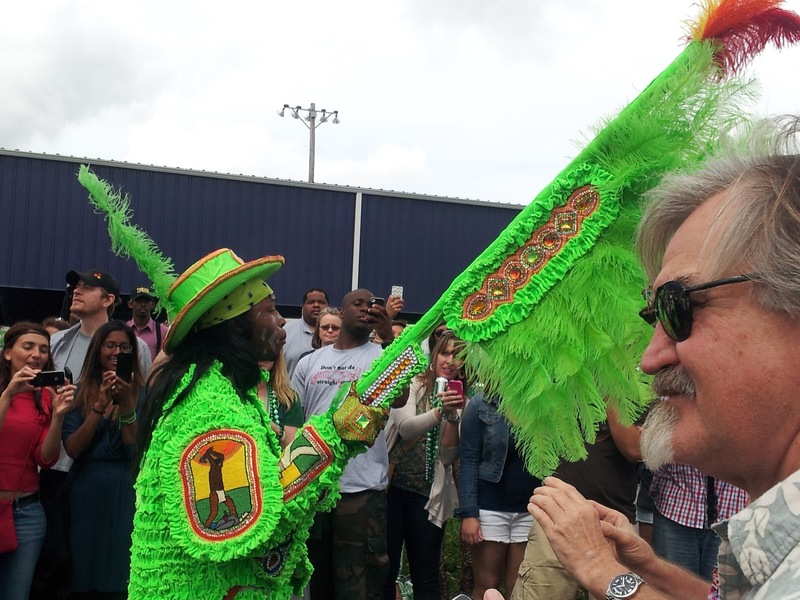 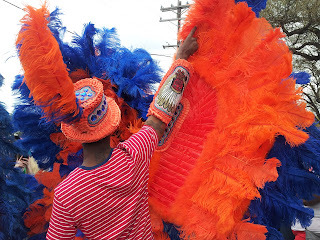 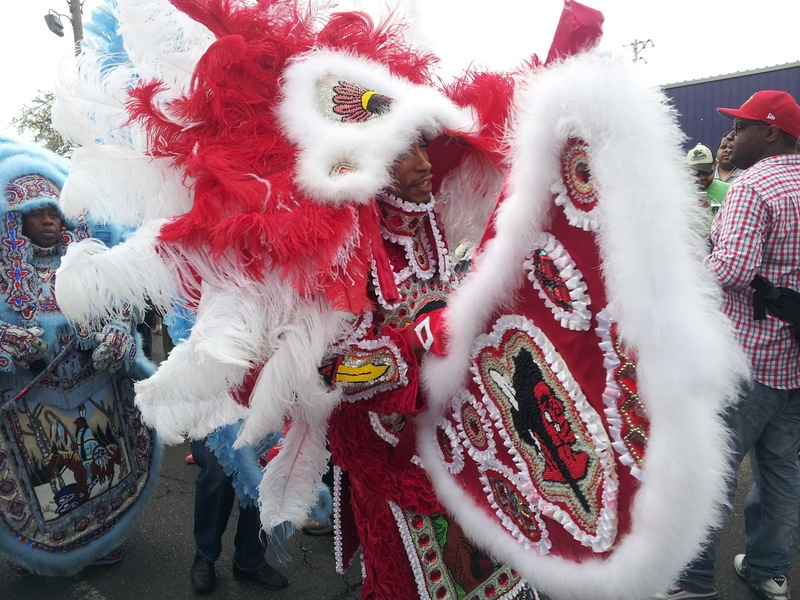 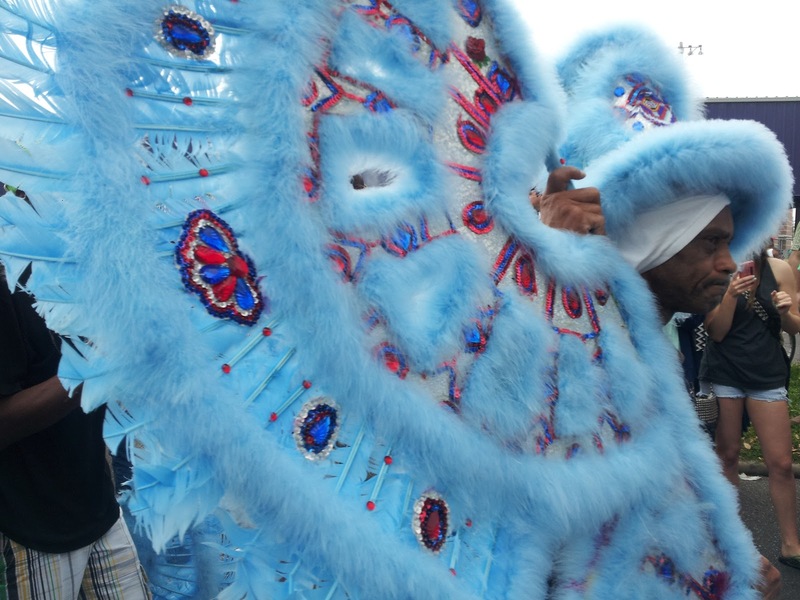 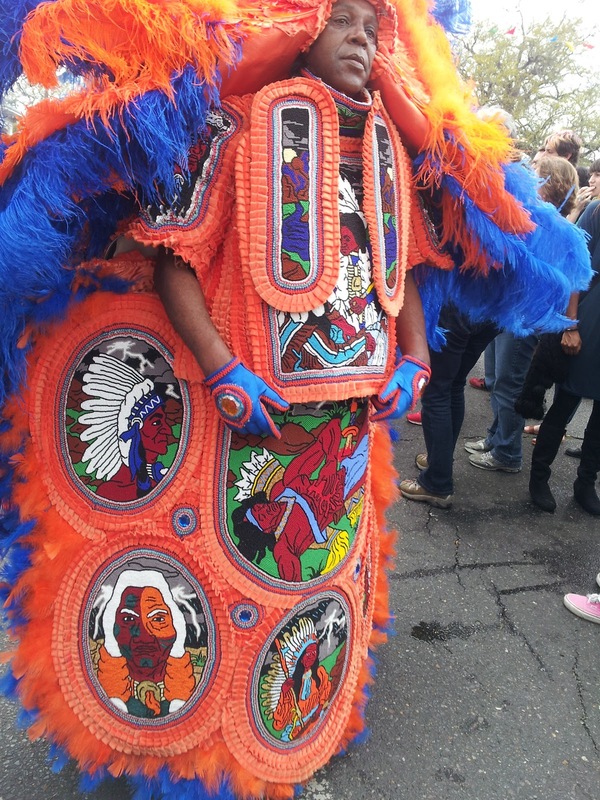 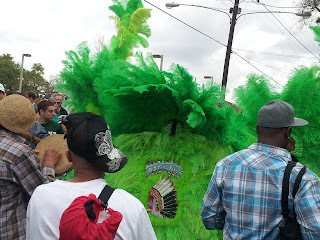 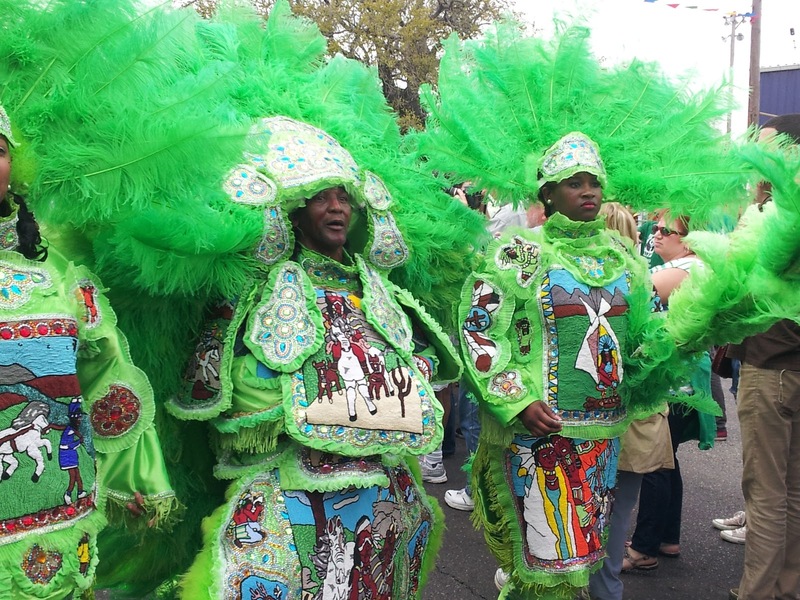 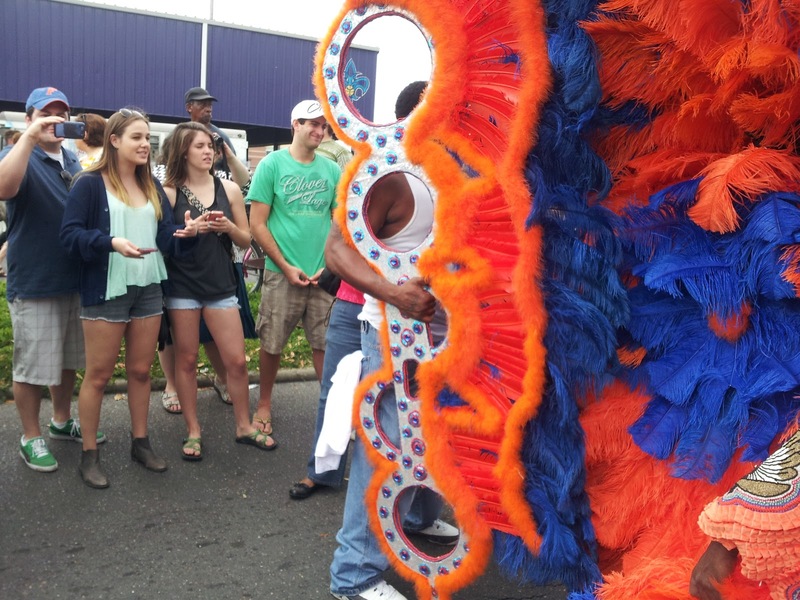 More so than Carnival/Mardi Gras, no weekend better encapsulates the feeling of home and place here in New Orleans (especially where I live, in the Irish Channel) than the weekend that has both the St. Patrick's Day parade on Saturday and the Mardi Gras Indian high holiday Super Sunday. This doesn't come close to describing the entire scene: the folks and families watching, the smell of meat being grilled and smoked, the Mardi Gras Indian chanting and dancing, the oohs and ahhs of each new costume's revelation to the crowd, the sunshine, the clouds, being able to see feathers poking up out of the crowd in whatever direction you're looking. I would hands down recommend the St/ Patrick's Day parade/Super Sunday weekend as the best weekend to get a real idea of the soul on New Orleans is. Coming up for dinner tonight: Chef Pete's Indian food. 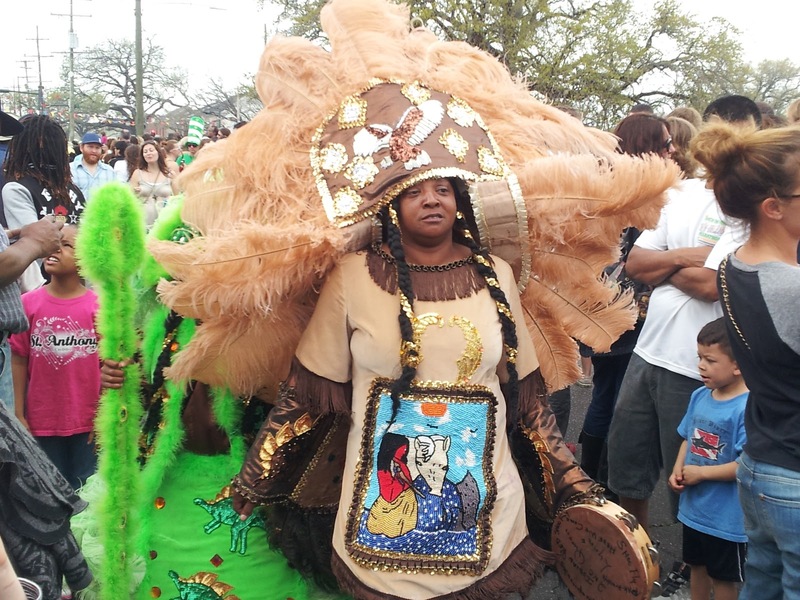 Next weekend: Hogs for the Cause. Going to the Gala Dinner on Friday night as well as judging the food on Saturday. EXCITING and delicious!